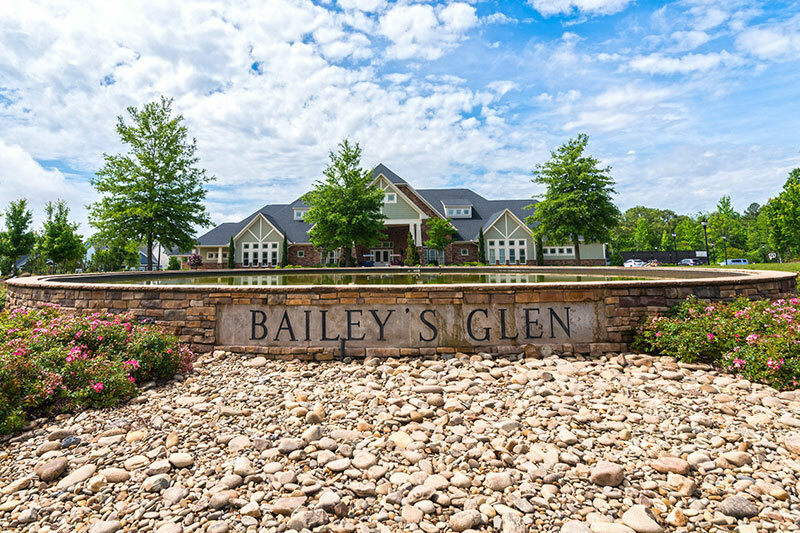 Bailey’s Glen retirement community is indeed a jewel of the Carolina’s – and it’s the epitome of the notion of “community.” Each day begins in the comfort and serenity of your custom home, and throughout the day the folks that live here can experience a huge range of options. They can sit back, relax, and enjoy the camaraderie of neighbors, or they can pursue virtually any activity that comes to mind. As a truly active adult community, it doesn’t get any better than this. Quality craftsmanship and care go into every home at Bailey’s Glen. 145 acres in a beautiful suburb near Charlotte called Cornelius. Choose from 18 ranch-style floor plans starting from $269,900 & ranging from 1273 to 3400 square feet. Enjoy amenities such as maintenance free yards, 2 pools, tennis and pickleball courts, bocce, croquet, a fitness room and class, a bike club, community gardens, gold, a clubhouse, a pub and even a lifestyle director!